In 1891, the parish became part of the Grantham South sub-district of the Grantham Registration District. 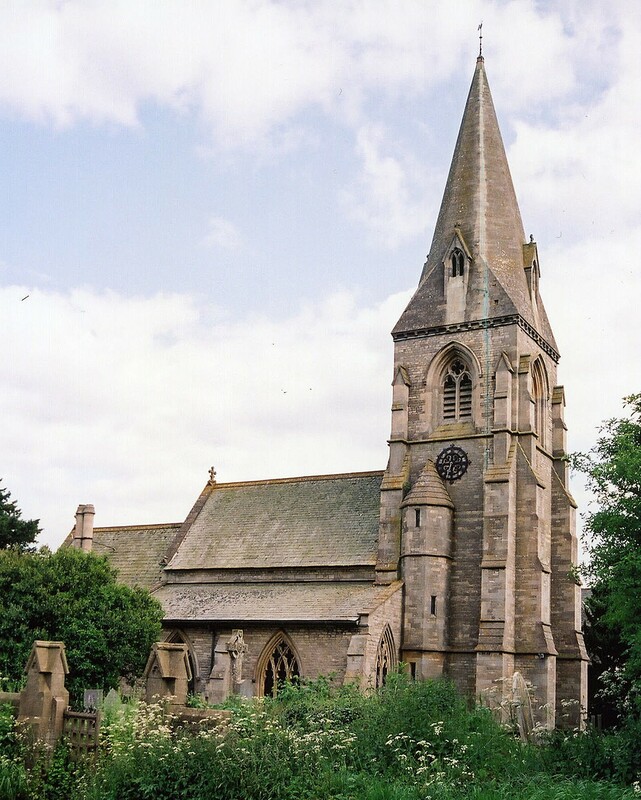 You can also perform a more selective search for churches in the Stainby area or see them printed on a map. The church was thoroghly restored in 1865. Brian GREEN has a nice photograph of St. Peter's Church Tower on Geo-graph, taken in November, 2006. The Anglican parish registers exist from 1653 (some sources say 1561). Boyd's marriage index covers the period from 1561 - 1837. Stainby is both a small village and a parish south of Grantham and 7 miles west of Corby. It lies between Colsterworth parish to the east and Buckminster parish in neighborhing Leicestershire to the west, with Gunby parish to the south. The parish covers about 1,500 acres. There is a hamlet of "Stainsby" in Ashby Puerorum parish near Horncastle. By automobile, take the B676 arterial road off of the A1 motorway west out of Colsterworth for about 2 miles. Ask for a calculation of the distance from Stainby to another place. You can see the administrative areas in which Stainby has been placed at times in the past. Select one to see a link to a map of that particular area. Stainby is from Old Scandinavian for "village of Stigandi", and the name appeared as Stigandebi in the 1086 Domesday Book. The parish was in the ancient Betisloe Wapentake in the South Kesteven district in the parts of Kesteven. In April, 1931, this Civil Parish was abolished to create a new Civil Parish of "Gunby and Stainby". The Common Lands were enclosed here in 1773. The Public Elementary School was built in 1840 to serve Stainby and Gunby parishes. It could hold 60 children, but average attendance was much less.